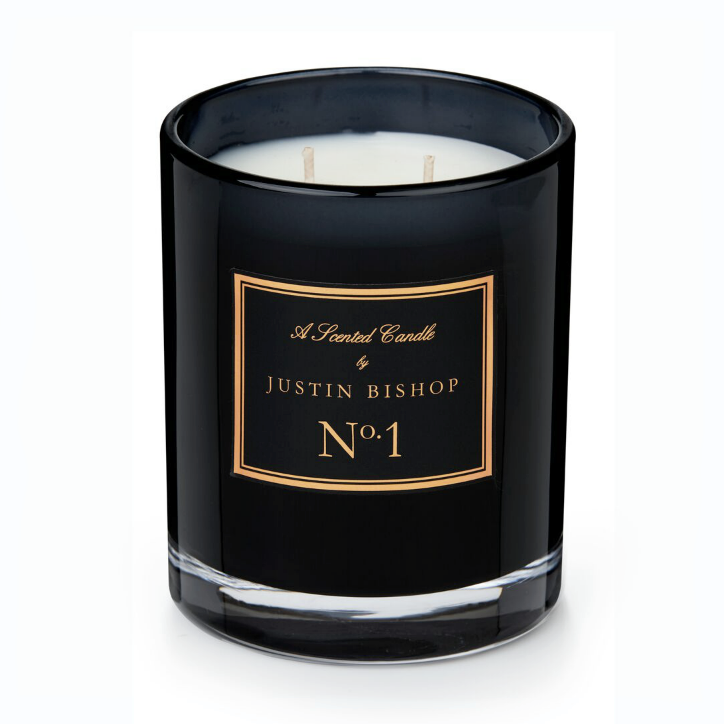 Justin Bishops signature scented candle, 'No.1', Leather & Wood is a luxurious scent that unearths its own distinct origins. 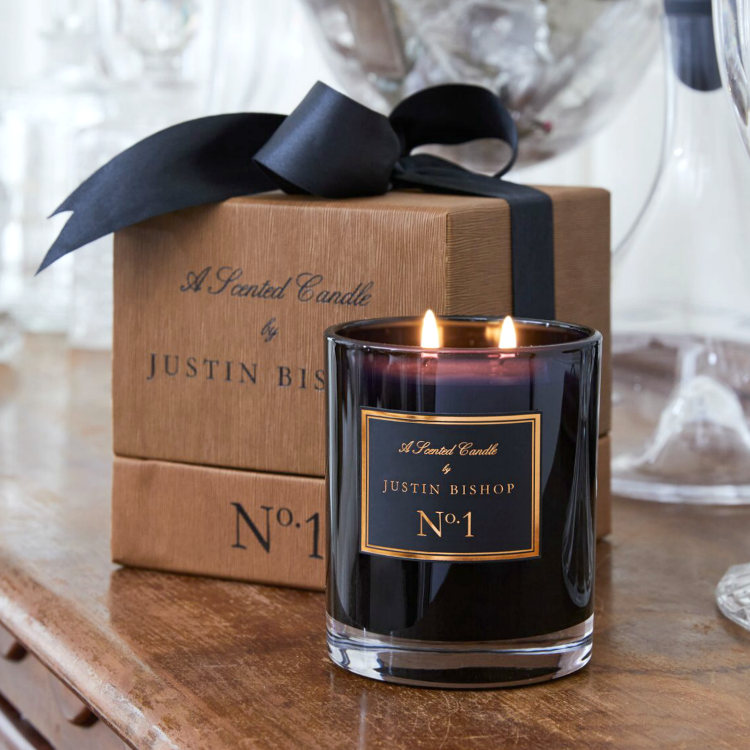 The sophisticated blend of cedar, and other precious woods, with hints of bergamot, amber, saffron, and clove, produce a beautifully well-rounded and refined fragrance, reminiscent of the rich, spicy timbers of grand historic homesteads to handcrafted heirloom furniture and antique leather-bound books. 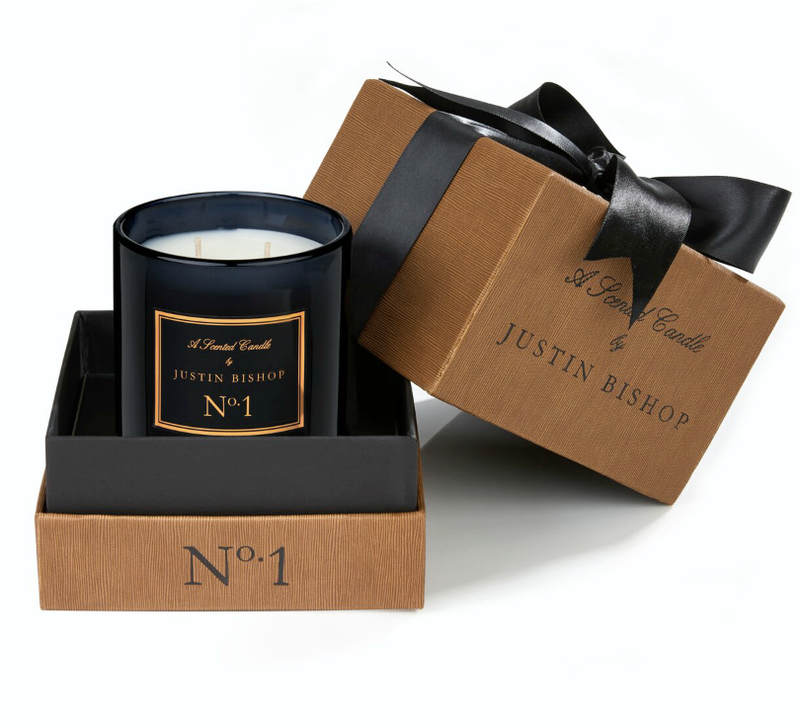 The candle is elegantly enclosed in a black glass holder and packaged in a stunning presentation box with a textured finish and black satin bow - A perfect gift for yourself or someone special.